We are pleased to offer the Birch Pointe Condo as one of our featured Fort Lauderdale Area Condominiums. These fabulous and luxurious condominiums have the perfect location near Fort Lauderdale Beach and offer every ammenity that you could require in a Fort Lauderdale Beach Condo. Birch Pointe Condo has magnificent intracoastal, city and ocean views and with only 16 units in the building, it is Fort Lauderdale Beach at its finest. Each floor has 2 units and a private elevator. Very close to the famous nightlife in downtown Fort Lauderdale. Not to mention the avalable dock space! 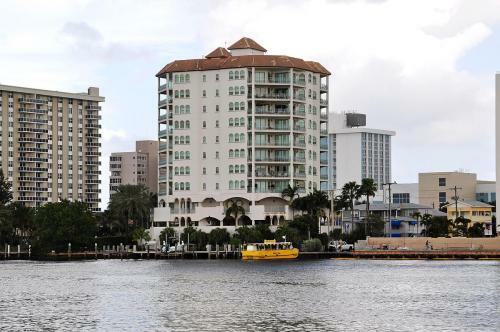 Located at 301 N Birch Rd Fort Lauderdale, FL Birch Pointe Condominium sits on the intercoastal with ample dockage and gorgeous views all around. This Ft Lauderdale Condominium does allow rental during the first year of ownership but does have restrictions on the number of times per year you are allowed to rent. This Fort Lauderdale Condominium does allow pets and if your looking for high-end luxury this is the property for you. Birch Pointe Condo is located close to the Las Olas Blvd of Fort Lauderdale giving residents easy access to numerous restaurants and local ammenities. However, as we enter a new Fort Lauderdale real estate market , a more balanced one, properties such as Birch Point, with a superior location will certainly benefit. Need more Information about Condos in the South East Fort Lauderdale Area? For additional information contact REALTOR® Eric Miller by filling out the form below or calling 954.383.8170 with any questions. Ready to make an appointment to view available units at the property ? For all your Fort Lauderdale real estate needs and an introduction to the Marina Del Mar, we are always here to help with all search for the perfect Fort Lauderdale Condominium. Contact us directly at (954) 383-8170. The data relating to real estate on this web site comes in part from the Internet Data Exchange program of the MLS of the Miami Association of REALTORS®, and is updated as of April 19th, 2019 at 11:09pm EDT (date/time). Listing information last updated on April 19th, 2019 at 11:09pm EDT.